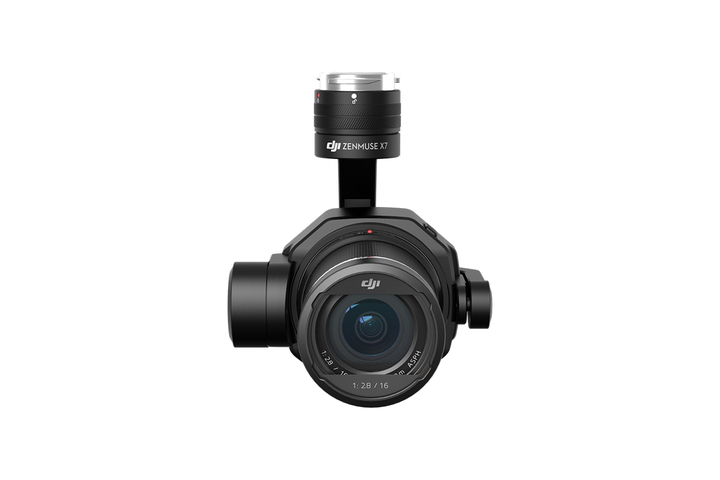 Can I use the Zenmuse X7 on platforms other than the Inspire 2 or by itself? 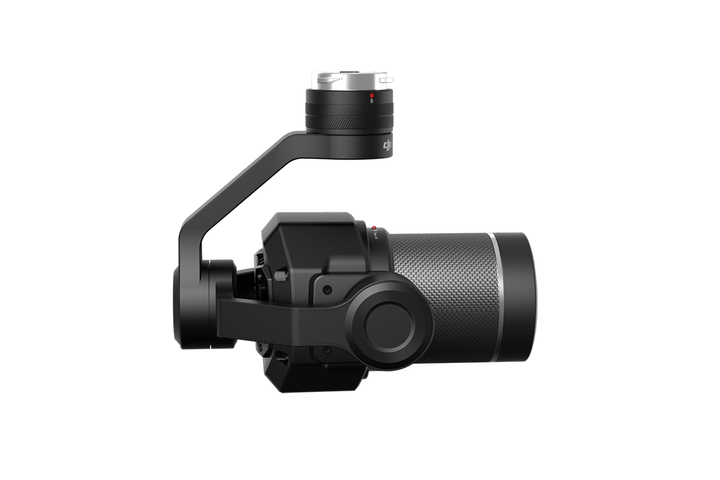 Is the Zenmuse X7 compatible with the Inspire 1? 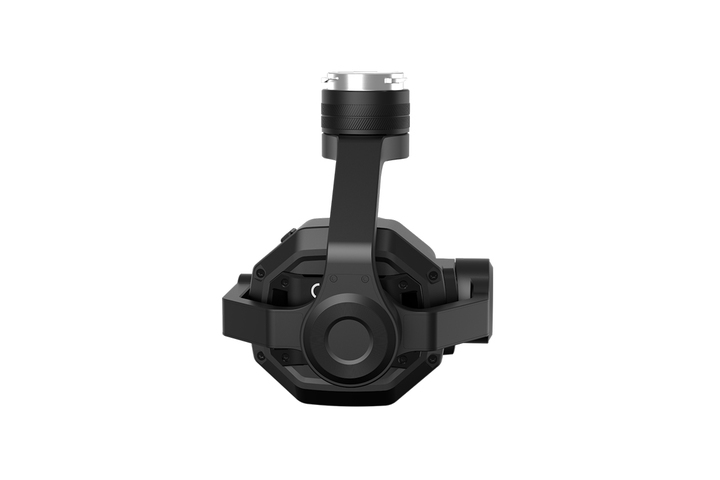 What are the main differences between the new Zenmuse X7 and Zenmuse X5S? 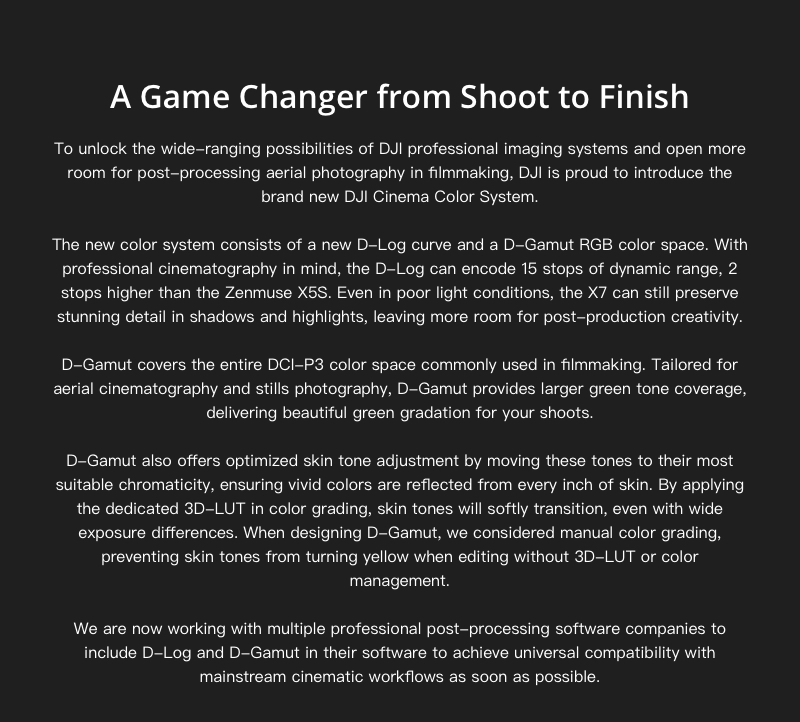 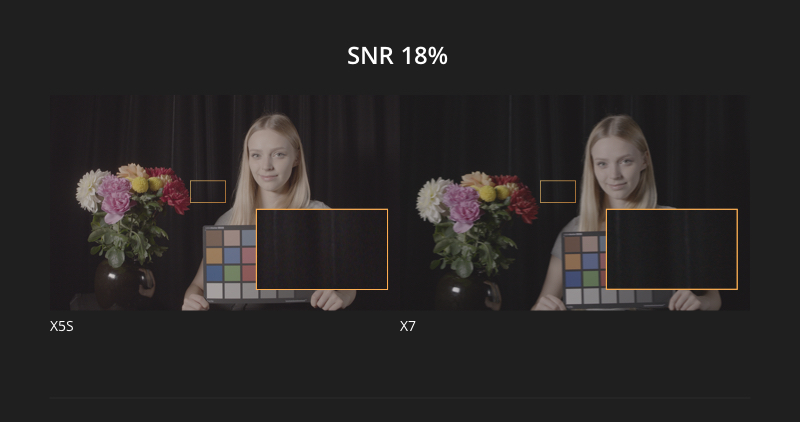 How is the Zenmuse X7 an improvement over previous Zenmuse cameras? 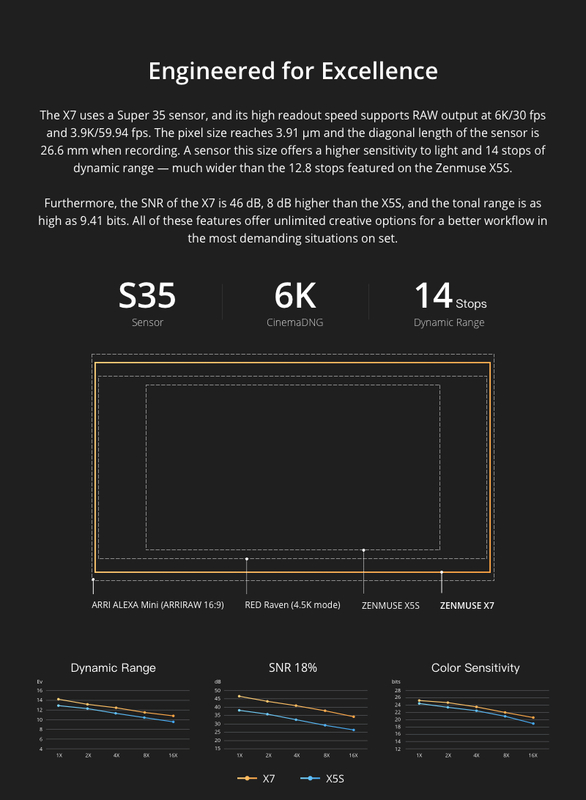 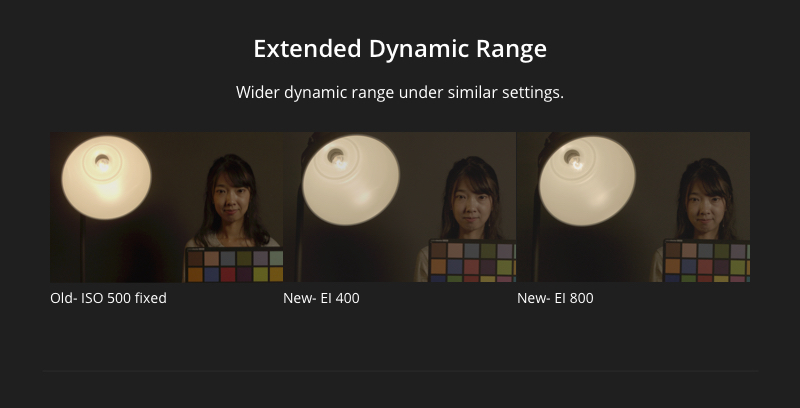 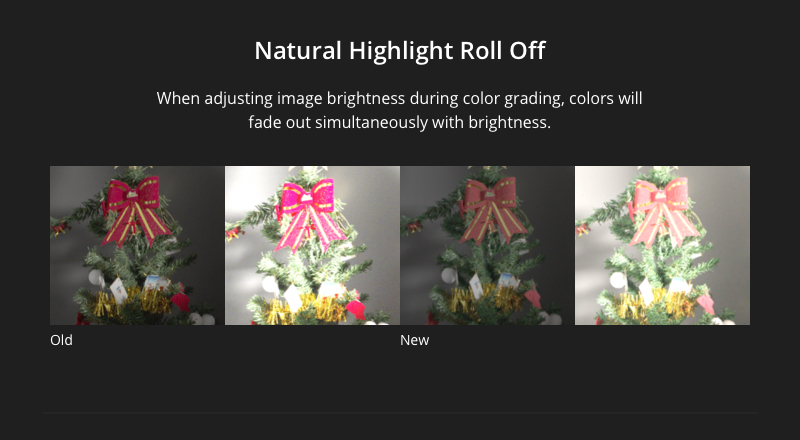 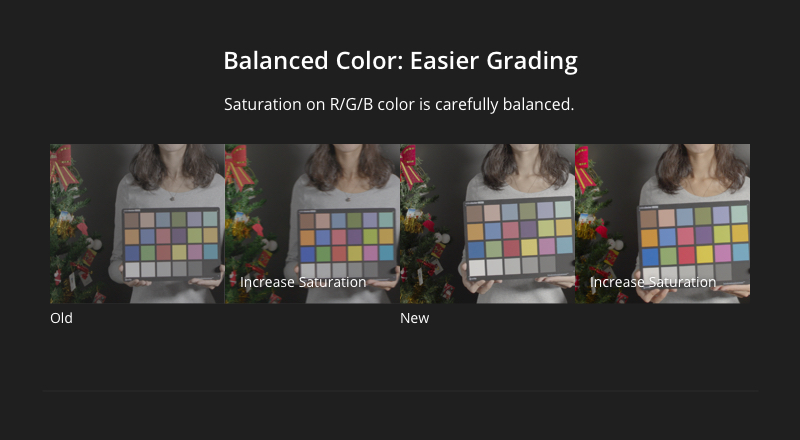 How is that going to change the image quality? 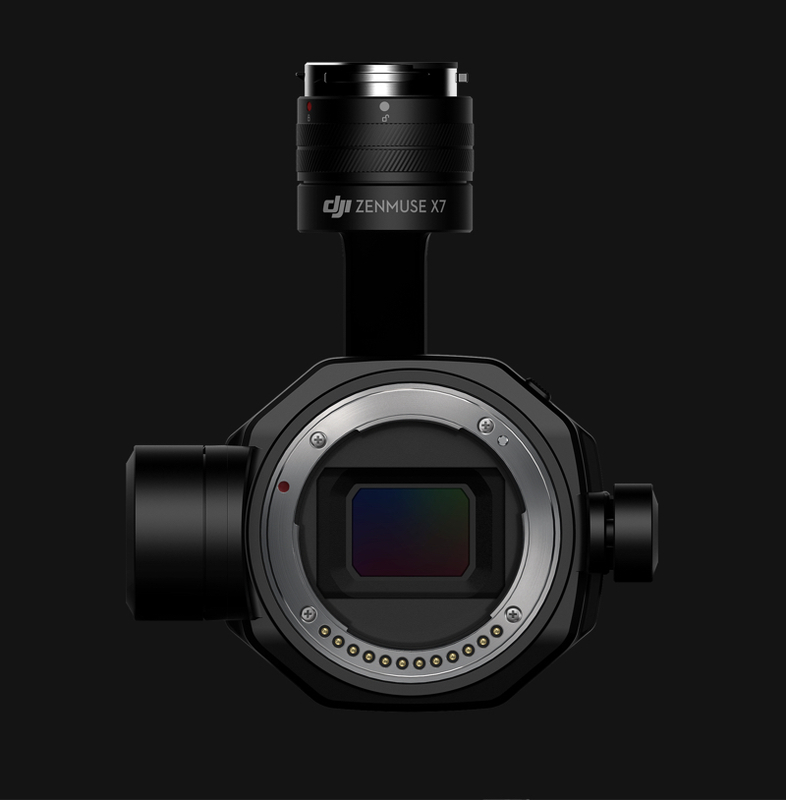 The Zenmuse X7 uses a 23.5×15.7 mm sensor, with the size of a single pixel increased to 3.91 µm. 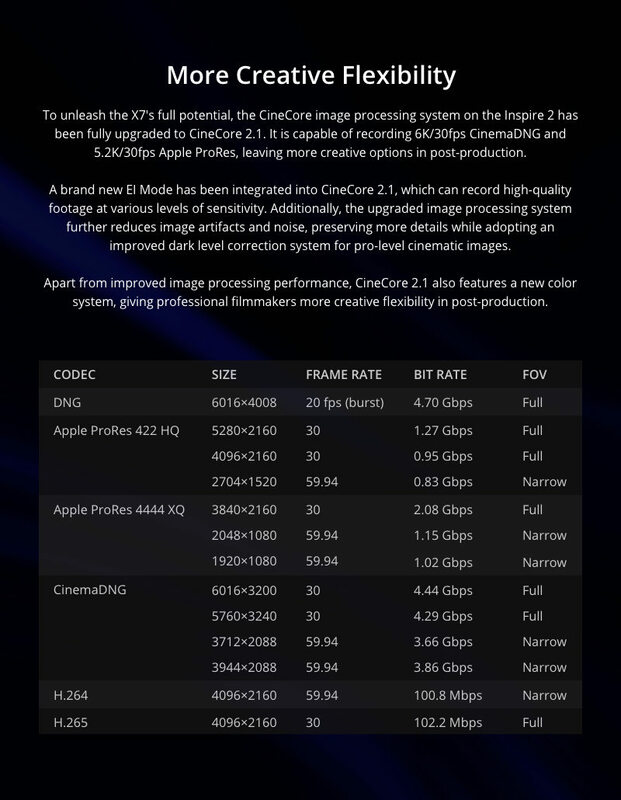 It captures RAW videos at up to 6K/30 fps or 3.9K/59.94 fps and photos with a resolution up to 24 MP. 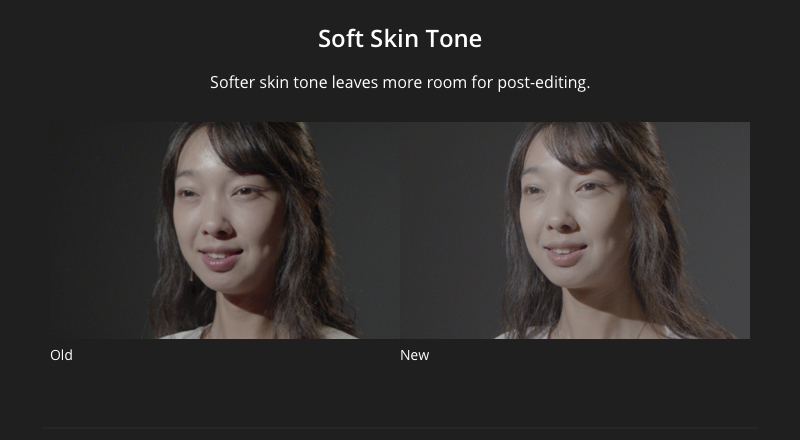 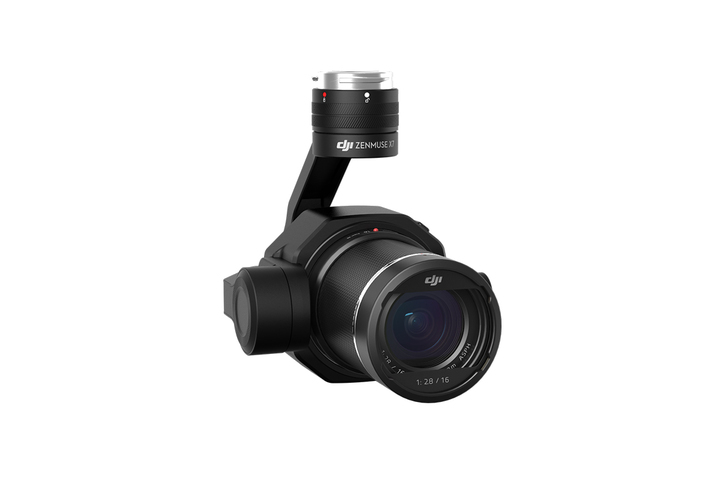 The larger sensor in the X7 delivers excellent photo and video quality with up to 14 stops of dynamic range. 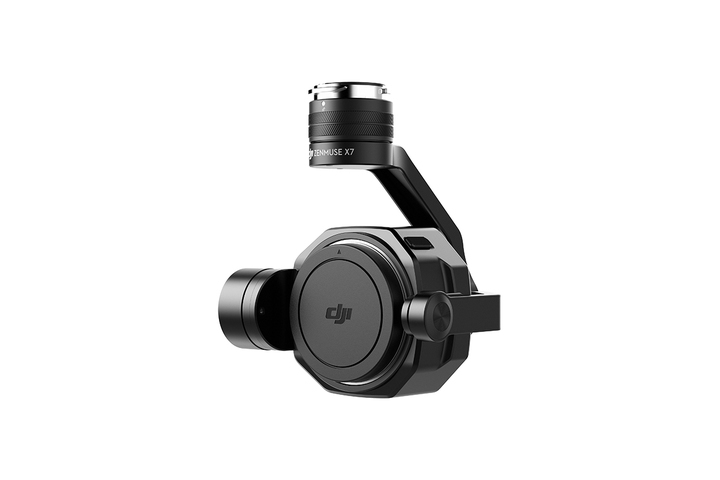 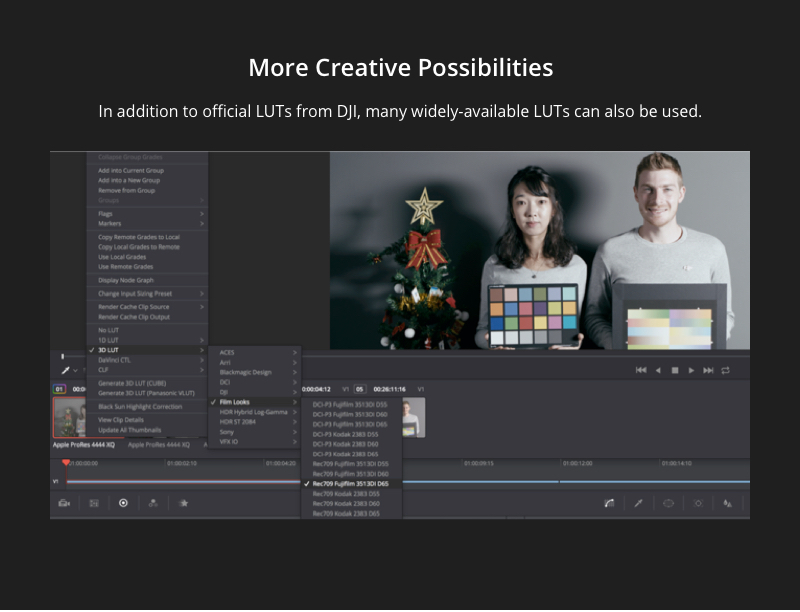 What are the advantages of the DL-Mount? 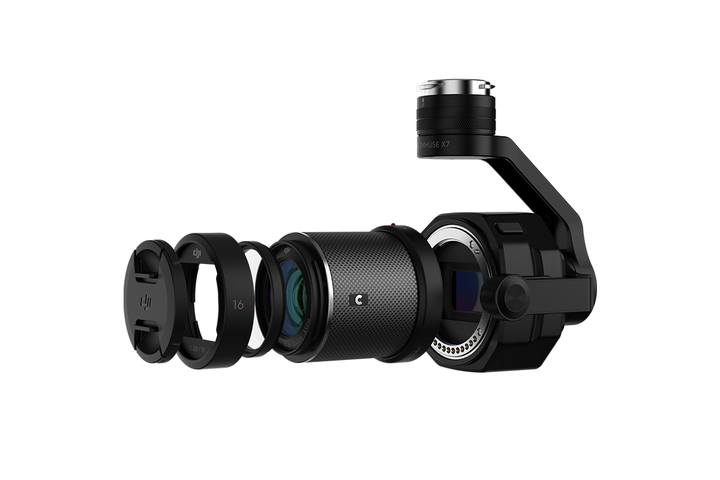 What lenses are compatible with the Zenmuse X7? 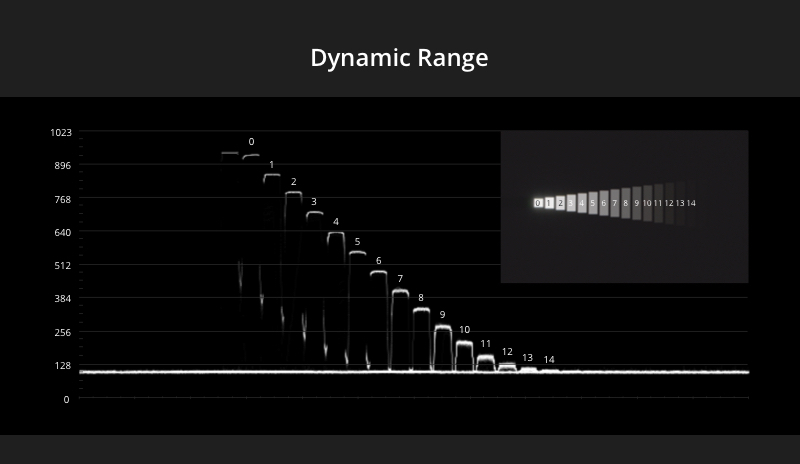 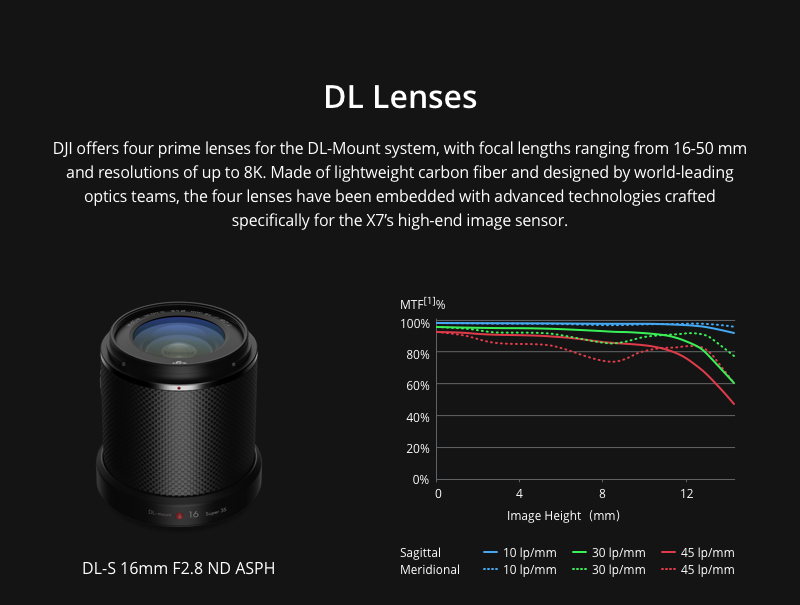 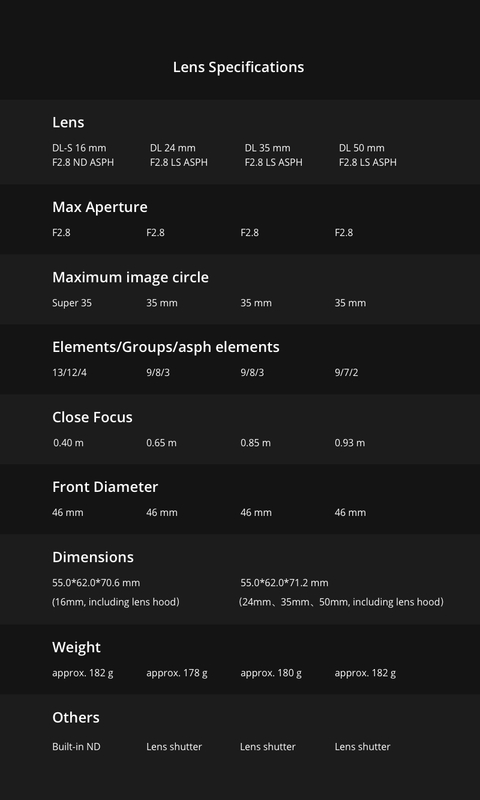 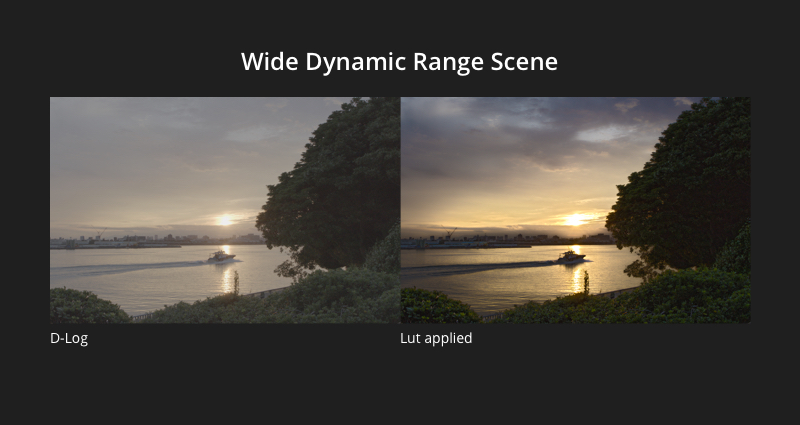 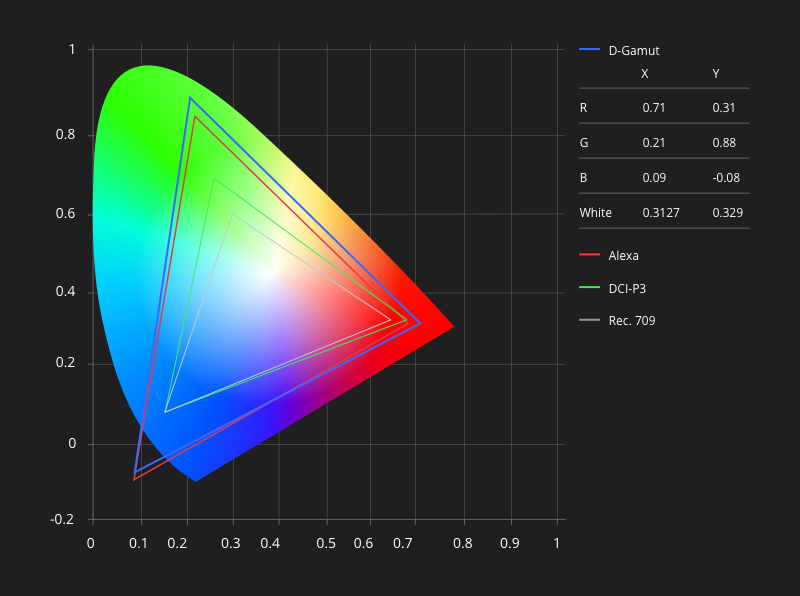 Among the four compatible lenses, what’s the difference between DL-S and DL ones? 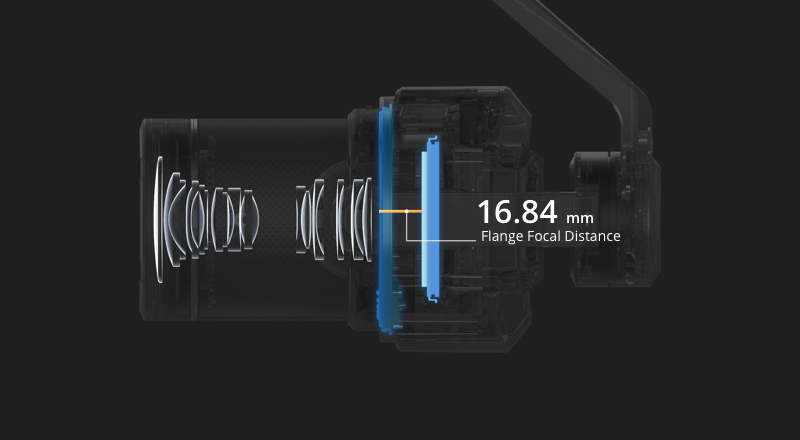 How does the leaf shutter work? 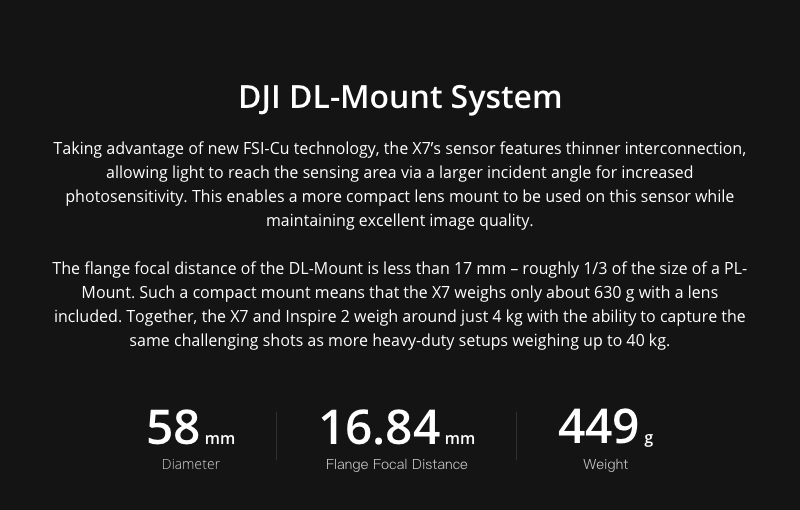 What are some of its benefits? 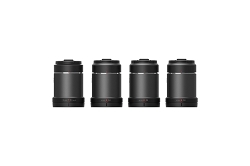 Do the X7-compatible lenses support third-party filters? 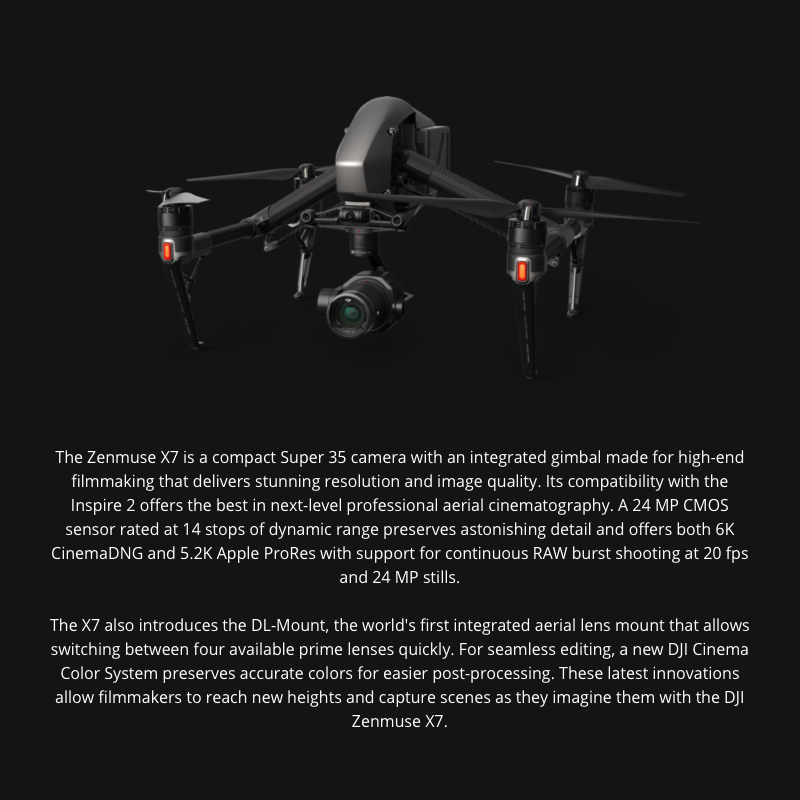 What storage device do I need if I use the Inspire 2 with the Zenmuse X7? 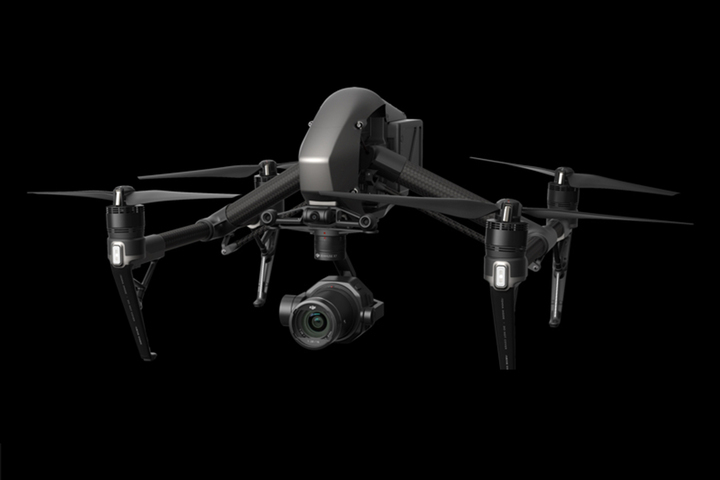 Where are photos and videos stored when the Zenmuse X7 is connected to an Inspire 2? 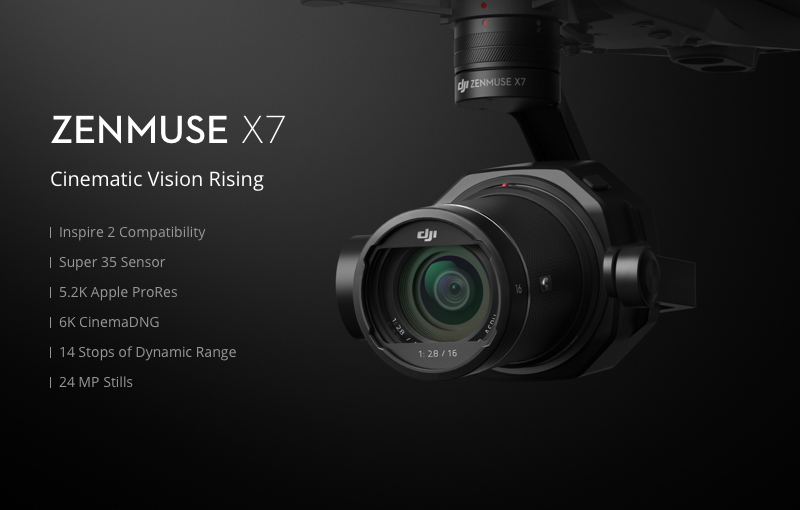 How are the Zenmuse X7, Inspire 2, DJI Inspire 2 License Keys, and CINESSD all related? 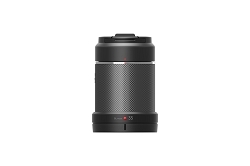 Refer to the User Manual for more information. 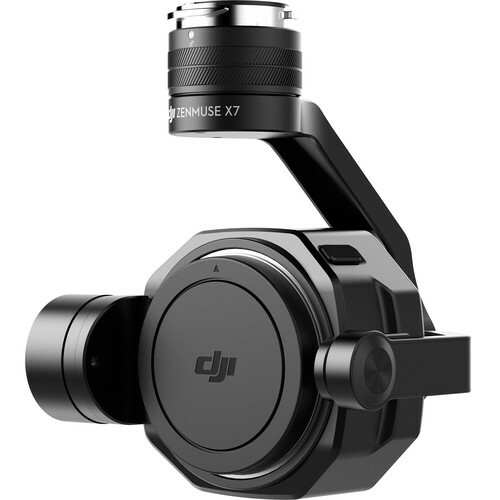 67 point(s) will be rewarded to you when you buy this item.